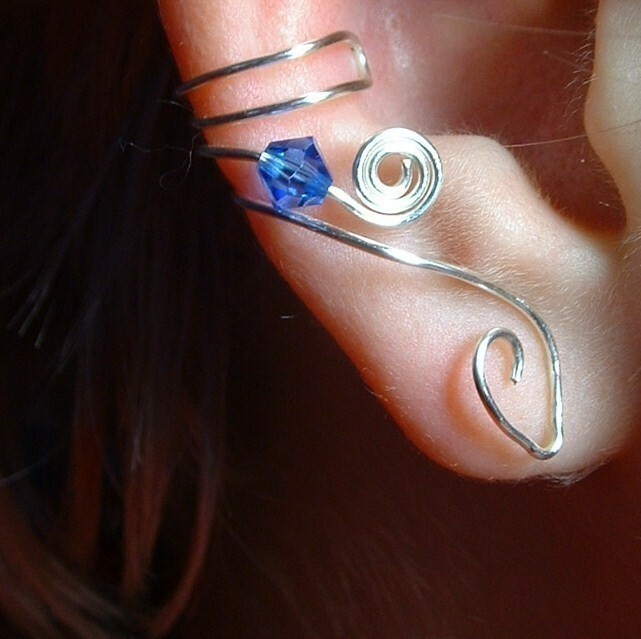 This ear cuff is made to match the blue of the Scottish Saltire flag, with a 5mm sapphire blue swarovski crystal and silver wire. Also available with gold or copper colored wire. Designed to fit any ear, these ear cuffs are adjustable and can be worn with or without regular earrings- No piercing needed!